The capital and the largest city of Rajasthan, Jaipur was founded in the year 1727 by Jai Singh II, who was the ruler of Amer and from whom the city gets its name. 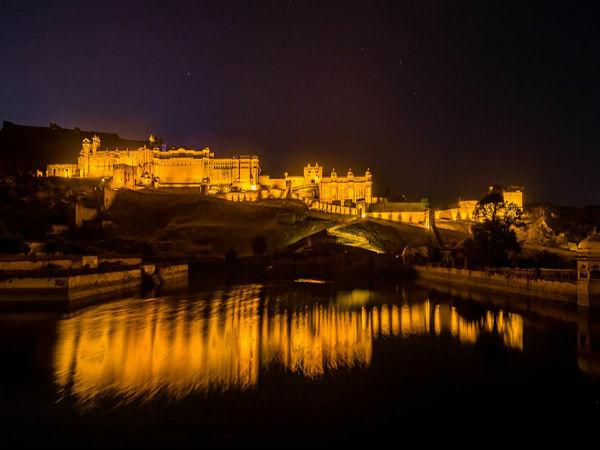 Jaipur is one of the most popular tourist destinations in the country which serves as a gateway to a number of other destinations in the state, such as Jodhpur, Jaisalmer, Udaipur and Mount Abu. The city is also known as the Pink City because during the rule of Sawai Ram Singh, the place was painted pink to welcome the Prince of Wales, Late Edward VII, in the year 1876. Many streets of the city remained wrapped in pink, which gave it a very unique appearance and the title-Pink City. Jaipur in translation means the "city of victory" and has always been one of the major tourist destinations in the country. The place is one the most colourful and vibrant cities with a touch of royalty in almost every factor the city exhibits. It is clubbed along with Agra and New Delhi to form the Golden Triangle which influences the field of tourism in India. Jaipur is a year-around destination, but the best time to the place is from the months of October to March as the weather remains pleasant at this point of time. The summers here tend to get really hot and humid which makes it very difficult for any touristy activity. By Air: The airport here is named Sanganer Airport, which has plenty of domestic flights, which connect the city to other major cities across the country, such as Delhi, Bengaluru, Mumbai, etc. The airport also has a number of international flights to some of the popular destinations. By Train: Jaipur Junction is the major railhead here, which has trains connecting to major towns and cities across the country and the state. One would also come across a special luxury tourist train known as the Palace on Wheels, which takes its passengers to Udaipur, Jodhpur, Jaisalmer and Agra. By Road: One of the best ways to reach the place is definitely by road as the place has excellent connectivity by road and has regular buses which operate from here to various location across the state and to Delhi, Mumbai, Ahmedabad, etc. The total driving distance from Delhi to Jaipur is about 280 km which would take one 5 to 6 h to reach via the NH 48. To reach Jaipur from Delhi there are a number routes for the same and the most popular one being through NH 48. If you are opting to travel via Route 2, it would take you almost 7 h to cover a distance of 326 km via the NH 21 and if your choice is the Route 3, it would take you about 7.5 h to cover the distance of 325 km from Delhi to Jaipur via NH 248A and NH 48. Neemrana is a historical town which falls en route to Jaipur, the place is well known for its 16th century hill fort which was under the Chauhans until the year 1947. The place at present is an industrial town and is a base camp to a large number of tourist attractions as it lies equidistant to the Sariska Tiger Reserve, Keoladeo National Park, Mathura, Govindgarh, etc. The Neemrana Fort-Palace has now been converted into a heritage hotel which attracts a lot of crowd especially from the city of Delhi. The city of Jaipur traces back its origins to the year 1727 after being established by Jai Singh II, who shifted his capital from Amber to the Jaipur due to the rapid growth in the population and the increasing water problems. The city is considered as the first planned city of India and is well known for its precious stones. The capital city showcases a perfect mixture of history along with modernity. Jaipur stands tall against the background of majestic forts Nahargarh, Jaigarh and many more along with numerous temples. Situated atop a rocky hill, the Amber Palace is a majestic structure which exhibits a perfect mixture of Hindu and Mughal architectural styles. The construction began in the year 1592 under the patronage of Raja Man Singh I, the structure was built as a strong and safe one protecting its residents from enemy attacks. The palace is made entirely of red sandstone and white marble and leaves every visitor dumbfounded with its carvings and the heavy usage of precious stones and mirrors. The beauty of the palace is further beautified by the Maota Lake in the front of this majestic structure. Built in the year 1799 by the king Sawai Pratap Singh as a summer home for him and his family, the palace also served as the place where the women folk of the royal family would spend their entire day without being spotted. The structure resembles the crown of Lord Krishna and is a unique five-storeyed structure with small windows which blow cool air throughout the structure. Built entirely of pink sandstone, the Hawa Mahal is one of the iconic landmarks of Jaipur. One of the most famous spots in the city, Raj Mandir is a single-screen movie hall which was built in the year 1976. The cinema sports an asymmetrical design which makes it stand out along with grand chandeliers, elaborately polished roofs and a staircase which gives out a charm which attracts visitors in large numbers not only from India but also abroad.